Hello garden lovers. 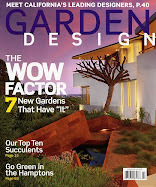 We realized that we forgot to post up a refreshing article from Great Gardens in February. This one goes out to fans of our very own Lenkin Gardens.